MSACL strives to offer a congress experience that values training and mentorship (see travel grants, short courses and Practical Training tracks), and provides avenues by which early-career attendees can gain experience presenting (see Poster Lightning Talks, the Poster Contest, Podium opportunities). The Meet-the-Experts program has been developed to create a channel by which early-career attendees can approach, interact and connect with mid- to late-career attendees to share intellect and experience. Booth and Poster Tours: Mentors browse booths or view posters as they normally do, but with one or more mentees along to observe, participate and learn from experience. Office Hours: Mentors will be available at tables in the Meet-the-Experts area of the Exhibit Hall where attendees can sign up to have a 10-15 minute chat about ... anything. You can sign up at the congress to participate in one or more Meet-the-Experts activities (i.e., Booth Tour, Poster Tour, Office Hours). Dr. Adamski studied biochemistry in Poznan, Poland and accomplished his postdoctoral training in endocrinology at the Max-Planck-Institute for Experimental Endocrinology in Hannover, Germany and Karolinska Institutet, Hudinge, Sweden. At present he is director of Genome Analysis Center at the Helmholtz Zentrum Munich and is affiliated as a professor at the Institute of Experimental Genetics at the Technical University of Munich, Germany. Part of his research is performed at the German Center for Diabetes Research (DZD), München-Neuherberg, Germany. Prof. Adamski acts as Editor-in-Chief for Journal of Steroid Biochemistry and Molecular Biology (Elsevier). Prof. Adamski is committed to the training of pre- and post-doctoral fellows of Technical University of Munich. The students originate from the divisions of biology, biotechnology and biochemistry. Prof. Adamski is interested in identification the factors responsible for the pathogenesis of complex metabolic diseases such as diabetes, obesity, cardiovascular disorders and cancer. Prof. Adamski also studies the genetic components and environmental challenges such as medication, life style, nutrition, and gender–specific disease. Prof. Adamski is holder of patents in biomarkers of human diseases (diabetes and endometriosis) and medicinal chemistry (inhibitors of steroid metabolism, 4 patents). He organized several international meeting as a chairperson including Congress on Steroid research (Chicago 2011, 2013 & 2015, Seoul 2018), Symposia on Metabolism and Cancer (Munich 2015, 2016), Published 335 peer-reviewed manuscripts and has H-index 56. Full bibliography can be seen at this LINK. He participates in several international projects on mechanisms and diagnostics of disease including BBMRI-LPC, Transnet-2 BioEndoCar, IMI StemBANCC and DIRECT. and expertise in preventive genetic medicine. Dr. Cory Bystrom serves as Director of Research and Development at Cleveland HeartLab where he is responsible for novel biomarker identification, validation and commercialization with an emphasis on quantitative biological mass spectrometry. Dr. Bystrom has over a decade of experience as a laboratory leader and chemist. Prior to joining CHL, he was at Quest Diagnostics Nichols Institute as associate director of research and development with responsibilities for development of tests and identification of analytical strategies for commercialization of new biomarkers. 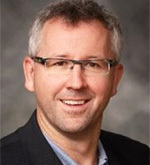 He also has held research and development roles at Oregon Health Science University, Fonterra, and Pharmacia and Upjohn. I've always had a passion for science, and have been fortunate to have excellent mentors at every stage of my career. I earned my Bachelor of Science Degree in Chemistry from North Carolina State University with research experience performing chemical analyses of preserved soft tissue extracted from Cretaceous fossils (yes, there was a T. rex!) under the mentorship of Prof. Mary H. Schweitzer. My undergraduate research experience inspired me to continue my graduate studies with a focus in Bioanalytical Chemistry and Biotechnology under the mentorship of Prof. David Muddiman at the W. M. Keck FT-ICR Mass Spectrometry Laboratory, exploring quantitative proteomic methodologies in various biological systems ranging from fungal crop pathogens to human embryonic stem cell biology. After completion of my doctoral program in 2010, I continued as a Post-Doctoral Research Scholar in the division of Molecular Oncology at Washington University School of Medicine in St. Louis, Missouri, in the lab of Prof. Ron Bose, and with additional mentorship from Prof. Michael Gross, where I developed quantitative phospho-proteomic and siRNA strategies to identify drug-resistance mechanisms in recurrent HER2 positive breast cancers. I also used mass spectrometry to study protein structure, and collaborated with experts with molecular dynamics simulations to produce the first heterodimer structures of HER2 and HER3 kinases, identifying structural relationships between tumor-driving mutations and unregulated signaling activity. I currently reside in Cleveland, Ohio, as a Senior Research and Development Scientist at Quest Diagnostics-Cleveland HeartLab working with a dynamic team to develop diagnostic tests based on novel biomarkers to improve assessment of cardiovascular risk, including an assay that predicts lipoprotein function and is predictive of cardiovascular disease based on quantitative proteomics of High Density Lipoproteins (HDL). Rob is a scientist who has evolved into a business leader over the course of his career. He has a PhD in theoretical Chemical Physics (Harvard University), but has managed to follow his interests into Pharma R&D (startup & Big Pharma), technologies for drug discovery, and most recently platforms for clinical diagnostics. Along the way he has been involved in, or responsible for, R&D, Marketing, Strategy, Business Development, QARA, Manufacturing and General Management. Join Rob in his office hour if you’d like to talk about alternative careers. There are a lot of different paths that lead to interesting opportunities! Russell Grant, PhD received his PhD in chromatographic and mass spectrometric technologies from Swansea University in 1995. He continued his scientific training in various industrial settings which have included: Senior scientist at GSK, Principal scientist at Cohesive Technologies, Technical Director at Eli Lilly and Director of Mass Spectrometry at Esoterix Endocrinology. Dr. Grant has pioneered the use of direct injection technologies, chromatographic systems multiplexing, utility of automation and new analytical platforms for utility in bioanalytical applications. Dr Grant has extensive experience in developing, validating and launching clinical tests using Mass Spectrometry. Dr Grant is regarded as an expert in many facets of the clinical mass spectrometry discipline. 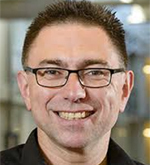 His contributions including a significant degree of teaching (MSACL, ASMS, AACC, FDA), chairing usergroups and workshops (ASMS, MSACL) and contributing heavily or chairing guidance documents (FDA, CLSI). His research goals are focused upon improvements in automation, systems integration, throughput, sensitivity and quality of LC-MS/MS analytical systems for all clinically relevant biomarkers and therapeutics. Daniel Holmes, MD did his undergraduate degree in Chemical Physics from the University of Toronto with a focus on Quantum Mechanics. He went to medical school at the University of British Columbia (UBC) where he also did his residency in Medical Biochemistry. 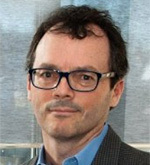 He is a Clinical Associate Professor of Pathology and Laboratory Medicine at UBC and Division Head of Clinical Chemistry at St. Paul’s Hospital in Vancouver. Interests include application of computational informatics to clinical medicine, clinical endocrinology, clinical lipidology and clinical mass spectrometry. Assay development efforts focus on specialized endocrine testing. 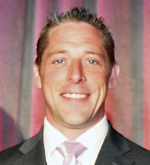 Randy Julian is CEO, President, and Founder of Indigo BioAutomation located in Indianapolis, Indiana. Randy earned a Ph.D. in Chemistry from Purdue University in 1993 and then worked in Discovery Chemistry at Eli Lilly for 14 years. 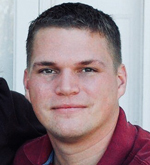 Randy founded Indigo based on informatics technology developed in his research group. Dr. Julian led Indigo from its founding to profitability, building a world class management, engineering and research team to commercialize laboratory data analysis software. Dr. Julian is a frequent speaker in the mass spectrometry community and teaches short courses in statistics and data analysis. 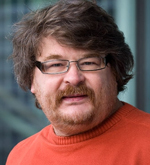 Randy is the past Chairman of the Human Proteome Organization’s Proteomics Standards Initiative Steering Group where he coauthored two international standards for analytical data. He was also the chairman of the ASTM committee on analytical data standards. 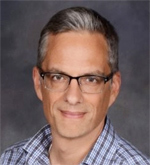 Dr. Julian also maintains an active research relationship with the faculty at Purdue University where he is an Adjunct Professor of Chemistry. 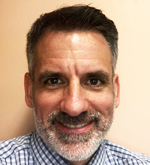 Patrick Mathias is a board-certified clinical pathologist who serves as the Associate Medical Director of the Informatics division in the Department of Laboratory Medicine at the University of Washington. 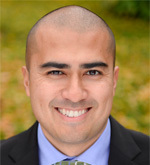 He completed his clinical pathology residency and clinical informatics fellowship at UW. His primary academic interests lie in precision medicine informatics and developing systems to minimize the impact of laboratory-associated diagnostic errors. In his role as an informatics director, he is responsible for continuous assessment of information systems to facilitate the needs of the clinical laboratory and ensure laboratory instrumentation and associated data is fully utilized to deliver high value patient care. Dr. Oleg Mayboroda hails from Leiden University Medical Center. An enthusiastic supporter of MSACL, he is a member of the European Scientific Committee, currently leading the Metabolomics section. His easygoing friendliness and good natured humor make him especially welcome in all manner of conversations. Curiously, he has apparently never provided a Biography for publication online. Meet this man-of-mystery in person by joining him during a Poster Session on Wednesday at 10am, or Thursday at 12:30pm. It is rumored that he could enjoy good wine or whiskey, and perhaps drove a Kawasaki W1 in his youth. A bird also brought on a tail that despite the above mentioned obstacles he eventually got a university degree in biochemistry from University of St. Petersburg and Ph.D. degree from Russian Academy of Science in the last century. He was working in Germany for a while exploring the limits of the image processing methods in the cell biology and microscopy. On the eve of the millennium he moved to the Netherlands where he works till now at Leiden University Medical Centre. Metabolomics is relatively late addition to the area of his interests (around 2010th), but currently is one of the favourites. His special interest is the data analysis and the studies of the cross-road of metabolomics and epidemiology. 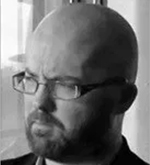 Liam McDonnell is Director of Proteomics at the Fondazione Pisana per la Scienza ONLUS (Pisa, Italy) and Associate Professor at Leiden University Medical Center (Leiden, the Netherlands). 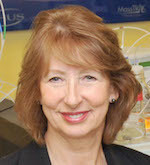 Dr. McDonnell studied Chemistry at the University of Oxford, followed by a research PhD in Chemistry at the University of Warwick that focused on ultra high resolution mass spectrometry. 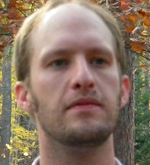 He then entered the imaging field as a postdoc at the FOM institute for Atomic and Molecular Physics with Ron Heeren. The focus of his postdoc was high spatial resolution mass spectrometry imaging method development. In 2007 Dr. McDonnell started his own research group at Leiden University Medical Center (Leiden), in which MSI would be developed for clinical research. Dr. McDonnell’s research reflects this background, it resides in the interface of fundamental mass spectrometry with clinical research, and for which interdisciplinarianism is key. He has focused on the clinical application of mass spectrometry imaging, in particular its integration with additional imaging modalities in order to record the molecular profiles of specific tumor cells within their correct histological context. Dr. McDonnell has used these approaches to identify diagnostic and prognostic biomarkers of clinically challenging tumors, investigated molecular changes accompanying stromal activation in breast cancer and the resulting metabolic pathways accompanying cancer progression. Recently he has used the biomolecular signatures as markers of tumor subpopulations, and identified which tumor subpopulations drive patient outcome. Dr. McDonnell is Vice-president of the Mass Spectrometry Imaging Society. David S. Millington, PhD, is Emeritus Professor of Pediatrics, recently retired from Duke School of Medicine, where he was Director of the Biochemical Genetics Laboratory. He and his colleagues pioneered the application of tandem mass spectrometry for the targeted analysis of acylcarnitines that became a frontline diagnostic test for defects of fat oxidation and branched-chain amino acid catabolism. Subsequently, the method was modified to include several essential amino acids and applied to dried blood spots, paving the way for the expansion of newborn screening for from a handful to over 30 metabolic conditions. As the expanded newborn screening method has spread, Dr. Millington has developed educational material and taught many laboratorians and follow-up coordinators worldwide how to apply the technology and interpret results. More recently, he has collaborated with a North Carolina biotechnology company to bring digital microfluidics into biochemical diagnostics and newborn screening. He has also pioneered novel biomarker assays using UPLC-MS/MS for numerous lysosomal storage conditions to facilitate patient diagnosis and monitoring. Dr Millington has published over 200 research articles and book chapters and has served on the North Carolina Newborn Screening Program Advisory Board since 1990. He was honored jointly with Dr Mohamed Rashed by the ISNS with the Robert Guthrie award for outstanding contributions to newborn screening in 1996. He was also honored by the MSACL in 2015 with their first Distinguished Contribution Award in recognition of achievements made in the field of clinical mass spectrometry that have furthered the advancement of knowledge and the implementation of science for the benefit of humanity. I am an Assistant Professor at the Maastricht MultiModal Molecular Imaging (M4I) institute since 2016. I earned my PhD at the School of Pharmaceutical Sciences (University of Geneva) where I specialised in developing and employing MS imaging-based approaches to monitor drugs in forensics and plant biology. I am now devoted to demonstrate how MSI and moleulcar profiling in general can be employed to improve the accuracy of cancer diagnostics. I am strongly motivated by the translational aspect between the development of innovative instrumentation and direct application to clinical research – with a special focus on intraoperative mass spectrometry. Working in a multidisciplinary environment and by the close collaboration with the Surgeons and Pathologists is a real motivation for me and drives my research. 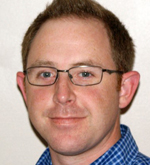 Brian Rappold is the Director of Mass Spectrometry for LabCorp and has been involved in MSACL for nearly a decade as a presenter and short course instructor. He is a renowned expert in the field of method development and validation of mass spectrometry assays for clinical diagnostic use, teaching courses on this subject at numerous scientific conferences. His extensive knowledge and clinical perspective has granted him several opportunities to present his research internationally on the topics of hydrophilic interaction liquid chromatography for bio-analysis, multiplexed mass spectrometric detection of amino acidopathies and the origins and solutions of ion suppression in electrospray ionization. He has served as the chair of Clinical Chemistry for the American Society for Mass Spectrometry (ASMS) and has served on the Metabolomics and Small Molecule Analysis/Toxicology Scientific Committee for The Association for Mass Spectrometry: Applications to the Clinical Laboratory (MSACL). His research interests include the realization of open-access mass spectrometric systems and antibody-capture/mass spectrometry applications to diagnostic medicine. He enjoys Spanish wine, Belgian beer and American Whiskey. Chris Shuford, Ph.D., is Associate Vice President and Technical Director for research and development at Laboratory Corporation of America in Burlington, North Carolina. Chris received his B.S. in Chemistry & Physics at Longwood University and obtained his Ph.D. in Bioanalytical Chemistry from North Carolina State University under the tutelage of Professor David Muddiman, where his research focused on applications of nano-flow chromatography for multiplexed peptide quantification using protein cleavage coupled with isotope dilution mass spectrometry (PC-IDMS). In 2012, Chris joined LabCorp’s research and development team where his efforts have focused on development of high-flow chromatographic methods (>1 mL/min) for multiplexed and single protein assays for clinical diagnostics. Judy will lead a Booth Tour for LC-MS 101 short course attendees & all other interested parties. This tour will highlight and build on discussions from the course. Judy Stone served as Asst. Professor and Assoc. Director of Clinical Chemistry at the University of Connecticut Health Center, as Asst. 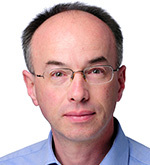 Professor and Director of the Core, Immunology and Toxicology Laboratories at the University of Massachusetts Medical Center; and has worked with mass spectrometry at Specialty Laboratories, San Francisco General Hospital, Kaiser Regional Laboratories in Northern California and the Clinical Mass Spectrometry Laboratory, Center for Advanced Laboratory Medicine, Univ. of Calif. San Diego Health System. She currently works in the automated chemistry STAT laboratory, Parnassus Campus, at Univ. of California, San Francisco Health. Her research interests are in mass spectrometry applications and automation for clinical toxicology and endocrinology. She teaches, with a team of colleagues, a two day short course on “Getting Started with Quantitative LC-tandem MS in the Diagnostic Laboratory” at the MSACL meetings in the U.S. and Europe. She is a member of AACC and ASMS and serves as Chair, Board of Editors for the Mass Spectrometry Feature Series, Clinical Laboratory News. She is interested in developing a certification program for basic clinical mass spectrometry. 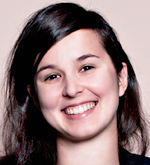 Grace Van Der Gugten is LC-MS/MS Applications Development Specialist at St Paul’s Hospital in Vancouver BC. She is passionate about developing the most user friendly and streamlined LC-MS/MS assays as possible for routine use in the Special Chemistry Mass Spec Lab. She loves troubleshooting, especially when the cause of problem has been discovered and the issue solved! Dr. Michael Vogeser, MD, is specialist in Laboratory Medicine and senior physician at the Hospital of the University of the Ludwig-Maximilians-University Munich, Germany (Institute of Laboratory Medicine). As an Associate Professor he is teaching Clinical Chemistry and Laboratory Medicine.The main scope of his scientific work isthe application of mass spectrometric technologies in routine clinical laboratory testing as translational diagnostics. 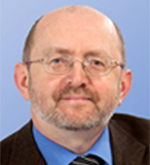 Besides method development in therapeutic drug monitoring and endocrinology a further particular field of his work isquality and risk management in mass spectrometry and in clinical testing in general.Michael has published >150 articles in peer reviewed medical journals and is secretary of the German Association of Clinical Chemistry and Laboratory Medicine (DGKL) (2016 – 2019). 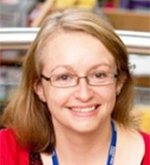 Dr Elizabeth Want is the Waters Senior Lecturer in Molecular Spectroscopy in the Department of Surgery and Cancer at Imperial College London. She is also the Director of the Imperial International Phenome Training Centre. Dr Want has 20 yrs experience in mass spectrometry (MS) and chromatographic techniques and has spent the past 16 years working in the field of MS-based metabolite profiling. 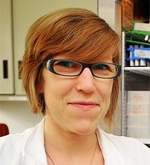 Her research focuses on the development and application of novel MS based techniques for metabolic phenotyping and the fusion of MS methods with chemometric analysis. She has developed and optimised UPLC-MS methodologies for the analysis of biological samples, e.g. serum, urine, tissue, amniotic fluid, and microdialysates. She applies these methods to biomedical research areas including cardiovascular disease, diseases of pregnancy and neurological diseases. Dr Want has published ~60 peer reviewed papers. Additionally, she has mentored multiple Master’s, Doctoral students and Postdoctoral students in metabolomics and mass spectrometry. I studied Biochemistry at Regensburg University in Germany and obtained his PhD in 1999 at Giessen University. Subsequently, I joined the Leiden University Medical Center (LUMC; Leiden, The Netherlands) where I was appointed assistant professor in 2005 and associate professor in 2008. In 2013, I became full professor Analytics for Biomolecular Interactions at VU University, Amsterdam. In 2015 I continued my career as Head of Center for Proteomics and Metabolomics at LUMC. I focus on the development of mass spectrometric methods for glycomics and glycoproteomics, and their application in clinical research and biotechnology. Clinical applications cover the fields of rheumatoid arthritis, inflammatory bowel disease, colorectal cancer, prostate cancer, longevity, as well as various infectious diseases. I am coordinator of two Marie Curie Innovative Training Networks, GlyCoCan and GlySign, where early-stage researchers are trained with a special focus on bridging between academia and industry.